The TL-1A is an improved version of the original ThermoProbe model TL1. The TL-1A incorporates glass thermometer simplicity and reliability with the ease of a digital display. 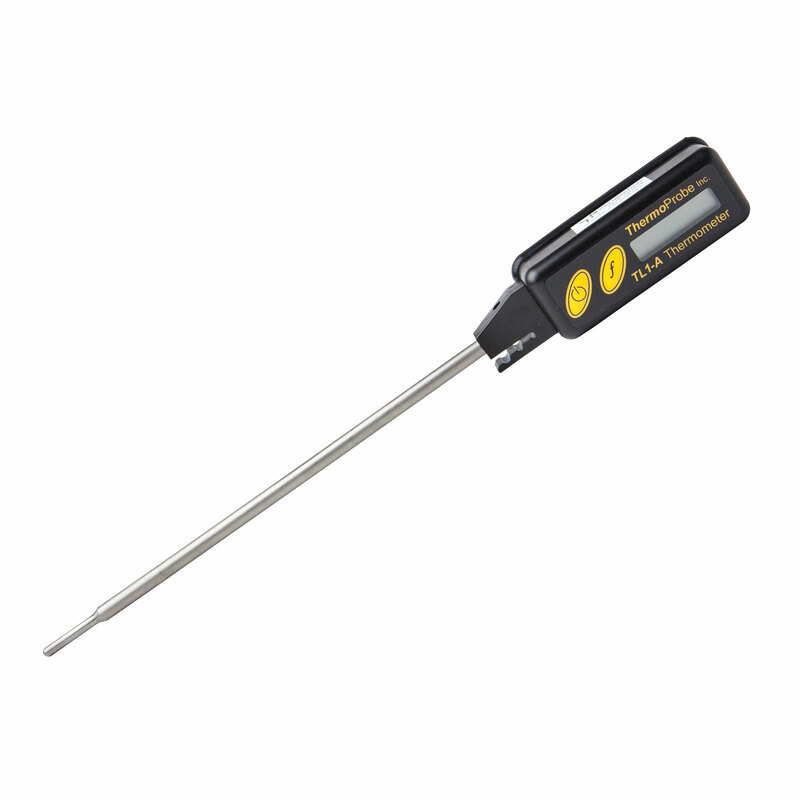 Like precision mercury thermometers, the TL-1A has accuracy, repeatability and long-term stability. But unlike those thermometers there will never be problems with mercury separation or hazardous material cleanup. Different from most electronic thermometers, the “Cordless” TL-1A has no wires to get in the way or break. Battery replacement is easily done through a sealed cover. Encoded calibration is unaffected by temperature, vibration, or battery removal. Low battery display, and failure mode indications protect the user from false data.